Here’s a striking story from The Emotionally Healthy Church by Pete Scazzero. Rabbi Edwin Friedman tells the story of a man who had given much thought to what he wanted from life. After trying many things, succeeding at some and failing at others, he finally decided what he wanted. One day the opportunity came for him to experience exactly the way of living that he had dreamed about. But the opportunity would be available only for a short time. It would not wait, and it would not come again. Eager to take advantage of this open pathway, the man started on his journey. With each step, he moved faster and faster. Each time he thought about his goal, his heart beat quicker; and with each vision of what lay ahead, he found renewed vigour. As he hurried along, he came to a bridge that crossed through the middle of a town. The bridge spanned high above a dangerous river. After starting across the bridge, he noticed someone coming the opposite direction. The stranger seemed to be coming toward him to greet him. As the stranger grew closer, the man could discern that they didn’t know each other, but yet they looked amazingly similar. They were even dressed alike. The only difference was that the stranger had a rope wrapped many times around his waist. If stretched out, the rope would reach a length of perhaps thirty feet. The man agreed without a thought, reached out, and took it. “Thank you,” said the stranger. He then added, “Two hands now, and remember, hold tight.” At that point, the stranger jumped off the bridge. The man on the bridge abruptly felt a strong pull from the now extended rope. He automatically held tight and was almost dragged over the side of the bridge. “What are you trying to do?” he shouted to the stranger below. “Just hold tight,” said the stranger. This is ridiculous, the man thought. He began trying to haul the other man in. Yet it was just beyond his strength to bring the other back to safety. “But I cannot pull you up,” the man cried. “I am your responsibility,” said the other. “I did not ask for it,” the man said. “If you let go, I am lost,” repeated the stranger. The man began to look around for help. No one was within sight. He began to think about his predicament. Here he was eagerly pursuing a unique opportunity, and now he was being side-tracked for who knows how long. Maybe I can tie the rope somewhere, he thought. He examined the bridge carefully, but there was no way to get rid of his new- found burden. “Just your help,” came the answer. Fearing that his arms could not hold out much longer, he tied the rope around his waist. As time went by, still no one came. The man became keenly aware that it was almost too late to resume his journey. If he didn’t leave immediately, he wouldn’t arrive in time. Finally, he devised a plan. “Listen,” he explained to the man hanging below, “I think I know how to save you.” He mapped out the idea. The stranger could climb back up by wrapping the rope around him. Loop by loop, the rope would become shorter. But the dangling man had no interest in the idea. “I don’t think I can hang on much longer,” warned the man on the bridge. The dangling man indicated that he was listening. “What do you mean?” the other asked, afraid. He unwound the rope from around his waist and braced himself to be a counterweight. He was ready to help as soon as the dangling man began to act. After a long pause, the man on the bridge uttered slowly, “I accept your choice.” In voicing those words, he freed his hands and continued his journey over the bridge. Ironically, the closer you come to crossing the bridge to your dreams, the more people will appear jumping off the bridge, insisting that you and only you can save them from drowning. While as Christians we are called to love our spouse, our children, and a few others, we only have two hands and finite time and strength, and so we need to be careful about which of the many ropes tossed to us we choose to hold. Which of the many calls on our time and compassion we answer. How many coffees we serve, cakes we make, meals we deliver. Michael Hyatt writes brilliantly about this in a post called Success and Accessibility. He writes, “The more successful you become, the more other people will demand of your time. As a result, if you are going to maintain margin for your most important priorities, you will have to make some difficult decisions about your accessibility. Hyatt continues, “Your time is a zero sum game. When you say yes to one thing, you are simultaneously saying no to something else. The more successful you get, the more difficult this becomes. You find yourself saying no to good things—worthy things—in order to say yes to your most important priorities. After all, from the perspective of the one asking, it is not a big request. But to agree to their requests would require a major investment of my time. Add all the requests together, and I am soon eating into the time allotted for my own projects, friends, family, and health. 1. Acknowledge your resources are finite. This is a fact. You have 168 hours per week. No more, no less. Every time you commit to something, you are depleting your available time. Your other resources are also limited, including your attention, money, and energy. If you ignore this, it will eventually catch up with you. You will pay a high price when that happens—perhaps an emotional breakdown, a divorce, wayward kids, a business failure, or a health crisis. 2. Determine who needs access and who doesn’t. Not everyone needs full access to you. They may think they do, but they don’t. Therefore, you must prioritise your contacts and relationships. “Hold the rope or I will drown.” The call comes to us from in many ways, and from many people. Questions to ask: Will this person truly drown if I don’t hold the rope, or will they learn to swim? Will they drag me down, or will I pull them up? Is this person willing to change if I hold the rope, or do they want an audience for moaning and lamentation? Am I the only person who can hold the rope? Does God want me to hold the rope for this demanding person, or to cross the bridge to the destiny to which He has called me? If you feel huge anger and resentment at this rope you’ve been tossed, if God has not called you to hold this rope as your unique call in life, Fail Quickly. Let go! P.S. They will probably learn to swim, or find the next passer-by to fling their rope to. At once. That is the operative word. Would they have done it if they had thought about it? Written out the pros and cons? Sought advice? Prayed about it? Wondered if it could possibly be God’s will for them to NOT provide for their wives and children? To abandon the vocation for which they had trained all their lives? And all their assets? To follow someone they had never heard of? With no reputation or references? No sensible person would have done that. When we hear Jesus speak, it’s safest to obey him at once. Once we get into wondering if what we have heard him say “makes sense,” we often end up not doing it. Because why should it make sense to us? God often hands over just one piece of the jigsaw at a time, illuminates just the stretch of the road on which we are to walk. Our friend Paul discipled Roy and I over a five year period during which I was struggling with two things–to break the hold of writerly ambition over my heart; and to do my fair share of housework. The former we decided could only be done by laying that ambition on the altar for God to do with what he pleased. I was most unsuccessful in both these projects. I’d lay my writing down one day; take it back the next day. Be the perfect helpmate and housewife one day. Not do a stitch of housework next week. I was silent. And chilled. And my ability to obey God’s voice, even when it is difficult and costly began to grow. Jesus issued his invitation to Peter, Andrew, James, John, Matthew. And moved on. If they dilly-dallied or refused initially, they might have missed the adventure of their lives. The risk of not obeying what we hear God say, when we hear him say it, is that “later” too often becomes never. There’s an adage, “God is a gentleman and soon gives up speaking to those who do not hear his voice.” I don’t know if that’s true or not. But if we continually ignore God’s promptings to be kind, generous, or self-sacrificial in specific ways, we harden our hearts, deafen our ears, and train ourselves to shut out God’s voice. And the greatest risk of often saying “no” is that we can lose our ability to know for sure what God’s voice sounds like. Is that God? Or not? We are unsure. But the more we obey, the more we hear his voice with crystalline clarity. “How you know it’s God?” one might be asked. Because I have often heard him before. I recognise the timbre of his voice. His accent. 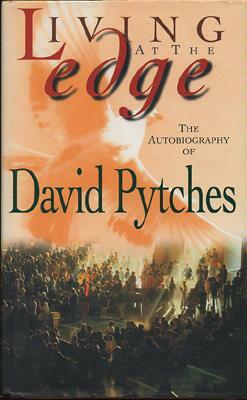 I sped-read Living at the Edge the autobiography of David Pytches a few years ago. He had saved money for university, and then, as a young man in the army was lovingly mentored and discipled by an older couple who lived in an abandoned railway carriage, and poured themselves into the young servicemen. He hears God tell him to give all the money he had saved to the older Christian. He does so, potentially giving up his opportunity to go to university. Later on, David has amazing adventures with God, is instrumental in introducing the Charismatic renewal and John Wimber to Anglicanism, and in founding New Wine, Soul Survivor, you name it. Mike Pilavachi emerged from his mentoring, as did Matt Redman. His own children are key players in the charismatic revival in England. “Wow,” I thought. “How scary.” What if David Pytches had refused to give away his college money at God’s prompting? What if he had procrastinated? What if he let himself believe he had imagined it? Then the next time he heard God speak, he could again have told himself that he imagined it, that obeying God in such things was something impulsive hotheads did. That other people did. He might have left sad so many times that he would no longer know God’s voice, no longer be able to pick up the still whisper from the noise around him. He would have lost the ability to be absolutely sure that the voice he heard was God’s. Or not. And so might have missed the adventure of following that voice, calling. Calling him to adventure. As he calls all of us. Oh, Lord, strengthen my resolve to obey you promptly. 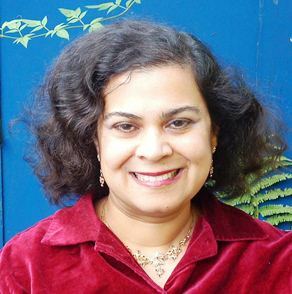 In Which I Discover that my Calling as a Christian and as a Writer are One and the Same! For many years, I felt guilty about having a calling which was not directly compatible with motherhood, i.e. being a writer. This guilt was fomented by some well-meaning, and some envious people. Samples: “Well, I love baking, but my children need a mommy more.” “You can write after they grow up. Babies need mommies.” “Don’t put the caboose before the train.” “Trust God to give you time to write after you’ve done the housework and met the needs of your kids.” (All these while I lived in small-town America). But, oddly, when I don’t write, I am not a brilliant mother or housewife either. I need to go into a room and be quiet and think and create for my own happiness. And if mama ain’t happy, ain’t nobody happy. I now see clearly that my quest to be a writer and to follow Christ, are one and the same quest. That writing is my path, my calling, my vocation. When I see Christ in my mind’s eye, when I think of pursuing Christ between the wings of the cherubim, I see a book at his heart. With “The Lord is my light,” or perhaps with “In the beginning was the word,” the current and former mottoes of Oxford University respectively. For me, diving into Christ, and diving into my calling as a writer are becoming one and the same. Because that is what, inexplicably God called me to be and to do—to write. And the writing is not an easy calling. For me to write well and prolifically will take dedication, discipline and self-denial. What I do is write; and writing is me. Focusing on my writing is following God’s will for me. And at the end of my life, I’d love to be able to say, like Jesus did, “I have finished the work you gave me to do,” (John 17:4).